Release Date: February 15, 2013 – U.S. 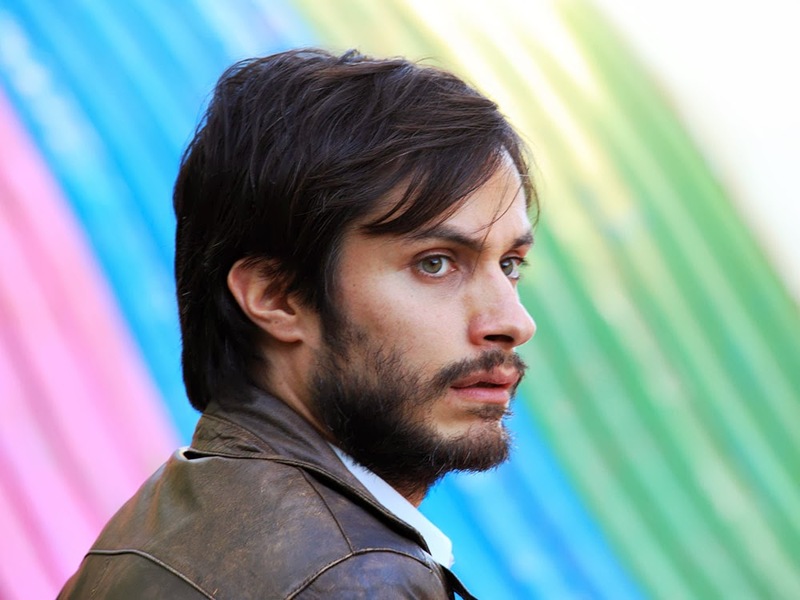 In "No," René Saavedra (Gael García Bernal, "Babel") says a lot with his big, expressive eyes and concerned, pensive face. In a time and place where overthrowing a dictator quite literally means the difference between choosing "Yes" or "No," every thought and action must be carefully considered. The country is Chile and the year is 1988. Augusto Pinochet's dictatorship looms large. His people feel afraid and suppressed. In a historic event, the citizens of Chile have been given the power to decide whether Pinochet's reign should be allowed to continue for another eight years. They must simply vote "Yes" ("Si") for Pinochet or "No" if they want a general election instead. René Saavedra is an advertising executive. When an old family friend named José Tomás Urrutia (Luis Gnecco) drops by the agency unannounced, it stirs up trouble. As it turns out, he has a reputation as an anti-Pinochet "Communist." Saavedra is very brusque with him. Undeterred by the rebuke, Urrutia asks Saavedra to create content for the "No" side. That puts Saavedra in conflict with his boss, Lucho Guzmán (Alfredo Castro, resembling a middle-aged Al Pacino), who works for the Pinochet campaign. Saavedra's father was exiled for speaking out against Pinochet and his ex-wife is routinely beaten for protesting the state of the country. Guzmán was well-aware of the Saavedra Family's political history but hired young René anyway. Both the "Yes" and the "No" are given 15 minutes of television time per night to persuade their fellow Chileans. Saavedra and Guzmán use their advertising expertise to aid their respective "teams" while still working together in their day jobs. The advertisements themselves are fascinating, and watching how they come together behind-the-scenes is one of the highlights of the film. As the "No" campaign gains steam, Pinochet and his "Yes" men become increasingly concerned. It isn't long before they do everything they can to threaten and sabotage the opposing side. Even Saavedra's ex-wife, Verónica (Antonia Zegers), and son, Simón (Pascal Montero), aren't off-limits. These scenes are fraught with tension and show just how much is at stake. "No" is based on a true story, but as is often the case, dramatic license was taken. The character of René Saavedra is based somewhat on Eugenio García, one of the men involved in the real-life "No" campaign. If Spanish isn't your native language, there's a lot to read; the film is so conversation-heavy that it can sometimes be tricky to keep up with the English subtitles and figure out who is saying what. But that's only a minor issue. In addition to being set in 1988, "No" also looks like a movie from that time period. Shot in a 4:3 aspect ratio, it's perfectly framed to fit the CRT TVs of the era and could easily be mistaken for an old VHS tape. This isn't the film you'll be using to show off your new HDTV and Blu-Ray player, that's for sure. But it's actually a very cool effect and it allows real-life archival footage to be integrated into the movie seamlessly. For all of the little techniques "Argo" employed to look like a movie from the late-'70s, "No" is even more effective at capturing the essence of the '80s. As the title indicates, the movie clearly sympathizes with the "No" – but it never falls into the trap of making the "Yes" into cartoon villains. Guzmán is shifty and amoral at times but still looks out for his young employee. The positive effect Pinochet himself had on Chile's economy – or so his side claimed – is also pointed out. The lens of history obviously doesn't shine down favorably on Pinochet's dictatorship, but the decision to vote "Yes" or "No" was never quite as clear cut to those who actually had to live through it.